Meet Laura Newcomb, the founder of Autism Academy, a school that provides an education for children with autism. Learn Laura’s journey about how she founded a school for children with autism and how it has excelled beyond her and her family’s dreams. 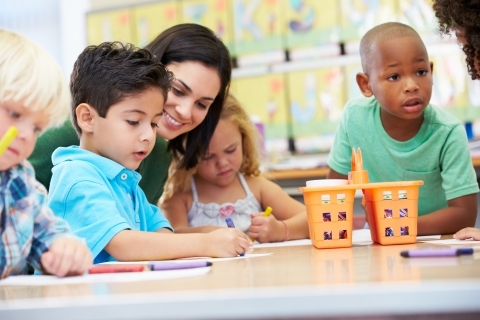 To sign your child up and allow them to receive an education for children with autism, contact us. AUTISM ACADEMY – Laura Newcomb is building academic bridges, meeting social needs, and making education for children with autism more meaningful. Her passion for helping people and meeting needs started decades before she opened the doors as founder of the Autism Academy in 2013. Before completing her Bachelor’s program at the University of Wyoming in 1988, she met the-late Donald Newcomb. The Elementary Education and Industrial Engineer undergrads fell in love – August 11, 1990 the college sweethearts shared wedding vows. Soon after, the Newcomb’s built a family, giving birth to three children; Graham, 23, Kalona, 22, and Kalina, 19. In 2002, the family relocated to Arizona. 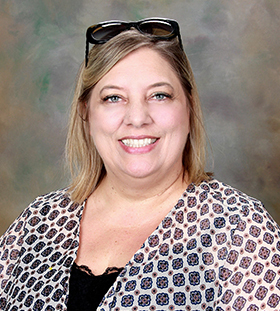 Laura Newcomb continued her education at the University of Phoenix, earning a Master of Science in Administration, and a certification in Cross Categorical (Special Education). Donald Newcomb earned a Master of Business Administration in Information Technology. She noticed an unsupervised lower functioning student sitting under a lunchroom table at a private facility. She describes that incident as the last straw that compelled the couple to develop a program that would teach and treat children with autism with dignity, compassion, and respect. “The Autism Academy was birthed out of a need,” she said. On November 12, 2015, after a 25-year journey, the Newcomb family experienced a great loss – Donald died. Laura’s fingers remain on the pulse of the vision, passion, and legacy they gave birth to upon opening the doors of the Autism Academy. The school for children with autism continues to thrive and advance. Newcomb says her source of success, strength and steadfastness comes from the secret of relying on her faith. Despite personal challenges, she remained focused. “We have an intense program,” she said. “And we manage to attract good-hard-working professionals.” Unlike similar facilities, the Autism Academy covers the complete spectrum of different functioning levels of students with autism. “We have a better system,” Newcomb explained. “We will challenge any program in the area.” She described her ultimate school strategy as a system of putting kids first. “I’ve always cared about helping people,” she said. “And our innovative program is breaking barriers wherever the system needs change. Currently, Newcomb’s sites are set on launching an Autism Academy in Tucson, Arizona because of regional need and repeated requests. “Laura is selfless,” said Peoria Autism Academy principal Shawn Davis. “She is a leader that I aspire to be like.” Others echoed similar sentiments. She’s supported by an assiduous executive team solving systemic problems. Her teachers and staff understand the importance of duplicating successful strategies and advancing academic excellence through quality programming and professionalism. Newcomb is intentionally defining a new narrative that is rapidly advancing education for children with autism throughout Arizona. To become a part of this fantastic school for autism and to enhance your child’s education, enroll today.